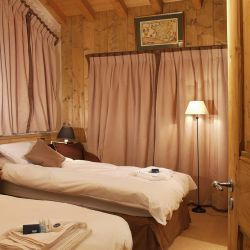 The Indiana Lodge is located in the trees on the exclusive ‘Dou du Pont’ area of Meribel which overlooks the centre of the village. 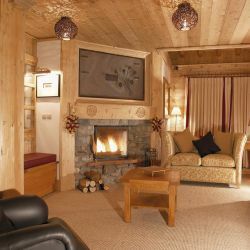 There really are few other chalets to rival it in the resort. 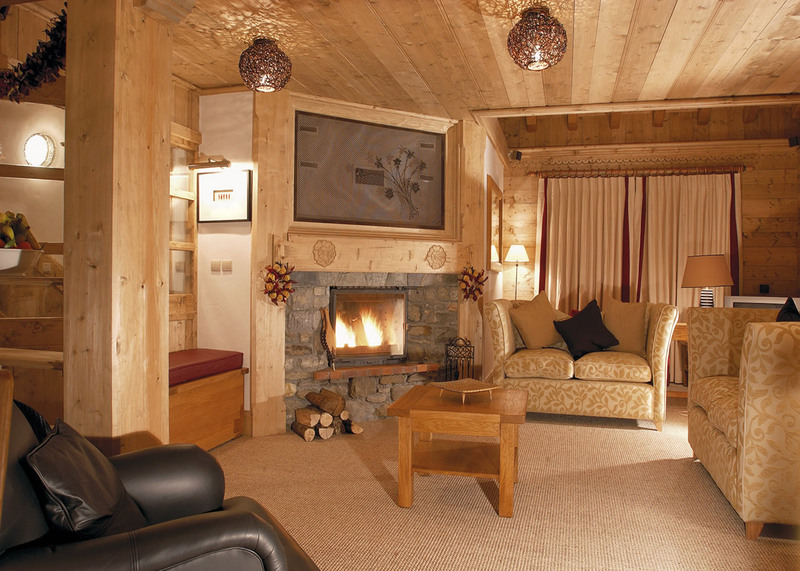 The living room has a delightful wrap around terrace and each of the bedrooms and bathrooms has been individually designed to combine traditional craftsmanship with cool contemporary styling. 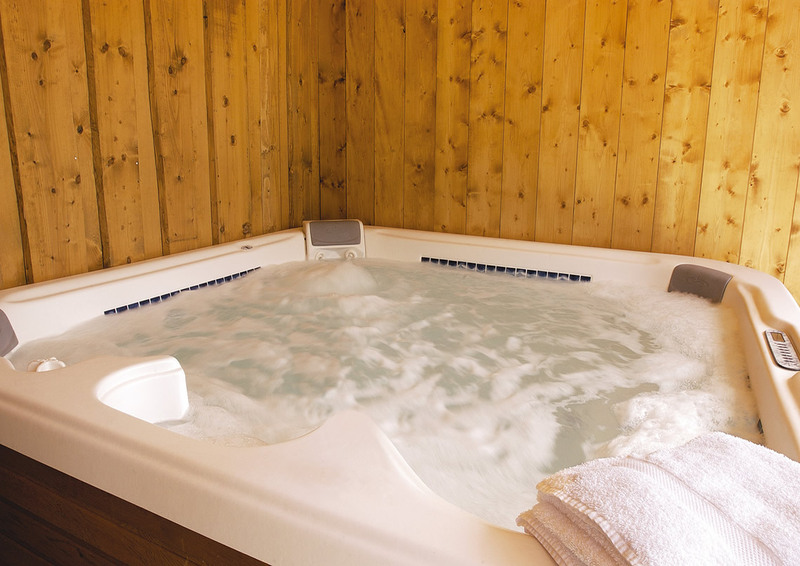 There is a sauna and outdoor hot tub, and all the toys including surround sound audio, cinema room and heated ski boots in the morning. 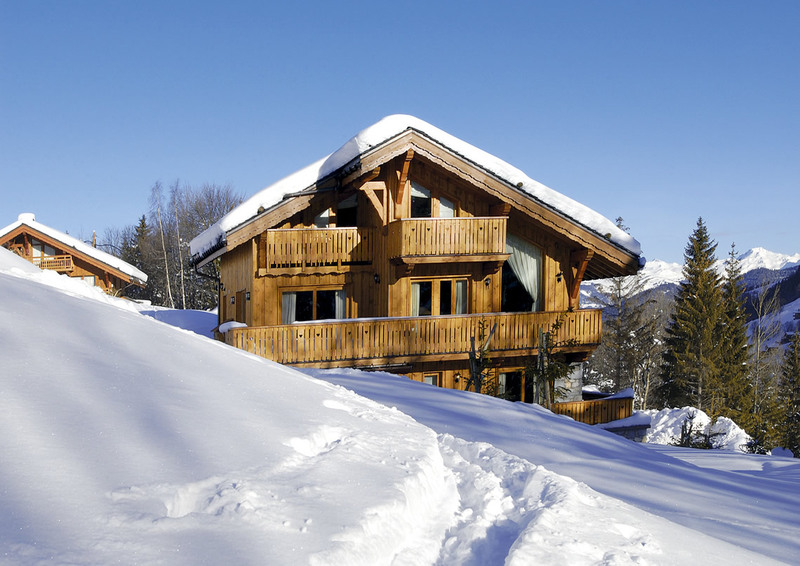 The chalet is only a few minutes downhill walk to town and piste. (First floor) - Twin bedroom with balcony, en suite bath, handbasin and WC. Limited space for a cot. 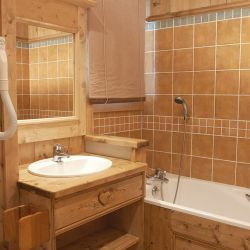 (First floor) - Double bedroom with balcony, en suite bath, handbasin and WC. Space for a cot. (Second floor) - Twin bedroom with balcony, en suite bath, handbasin and WC. 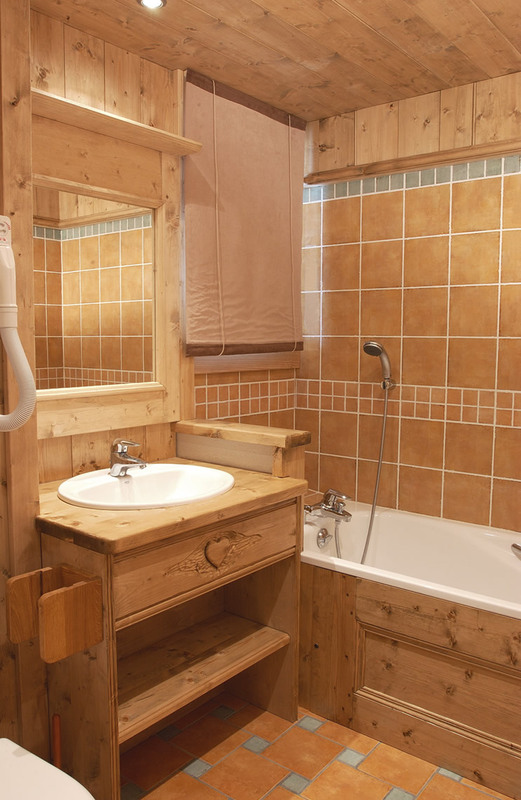 (Third floor) - Twin bedroom with balcony, en suite bath, handbasin and WC. Limited space for an extra temporary bed or cot. (Third floor) - Twin bedroom with balcony, en suite bath, handbasin and WC. Child discounts: 2-12 years £75. Infants: under 2 years cost £125. 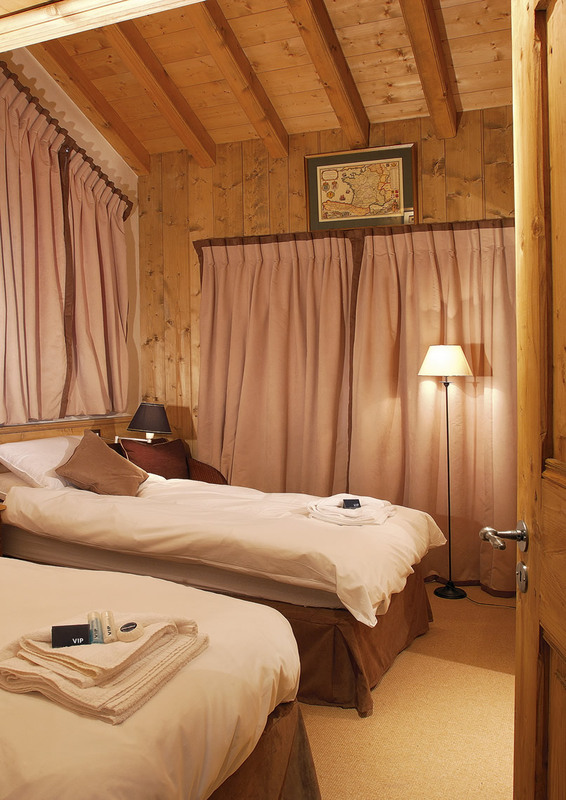 Empty bed supps: adult price less £199 (less £100 on no travel dates). Ski carriage: £15 per set of skis/board each way. 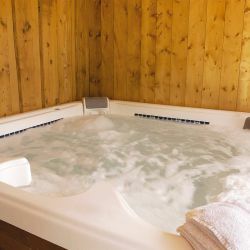 Adults or children in extra beds half price. 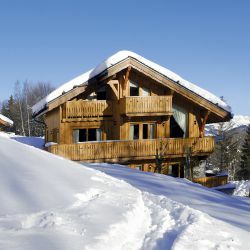 Located in the Dou du Pont area of Meribel which is just 600m walk away to the resort centre.